Russia’s Strategic Missile Forces are ready to react to any nuclear strike even if it is lightning fast, SMF Central Command chief said. A retaliatory strike would take place in all circumstances, “without hesitation,” he added. “If there’s a challenge to repel a lightning-fast nuclear strike in any given conditions – it will be done in fixed time, that’s dead true,” the Strategic Missile Forces Central Command’s chief, Major-General Andrey Burbin, told Russian News Service on Saturday. Russia’s strategic missile forces are positioned geographically in such a way that no global strike can knock them out completely, Burbin said. In case an order is given to carry out a nuclear strike, Russian nuclear weapons operators will fulfill it, he added. “There would be no hesitation, the task would be executed,” he said. The system collects data from various sources, such as radioactivity and seismic sensors scattered throughout Russia, by scanning radio frequencies and communication activities. If pooled data indicates that Russia has suffered a nuclear strike, the system launches special missiles that travel through national airspace, sending launch signals to all surviving strategic nuclear missile complexes. In this case a retaliatory missile strike is launched without human input. 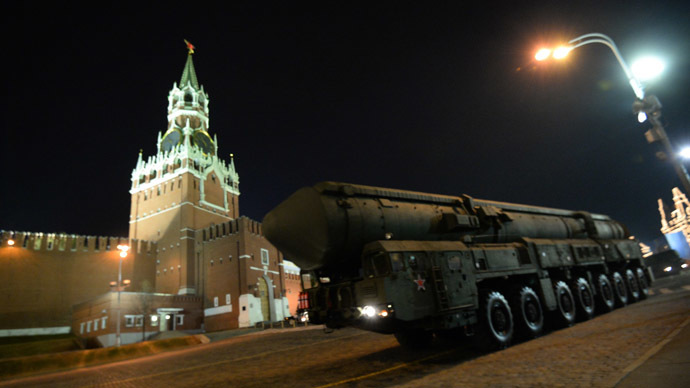 Burbin also told RSN that rearmament of the Strategic Missile Forces is ongoing as planned and by 2020 up to 98 percent of Russia’s nuclear deterrent forces will be armed with brand new weapons. Nationwide war games of Strategic Nuclear Missile Forces were conducted in February, with 30 missile regiments training in 12 regions of Russia. Missilemen performed ultimate combat operational readiness, counteraction to subversive groups and perfected defenses against airborne precision weapons. 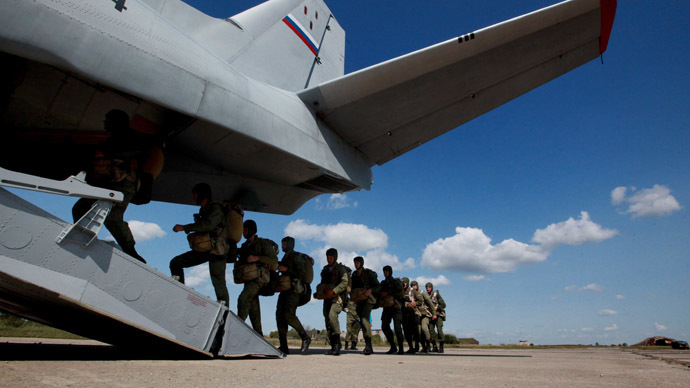 On any given day, over 6,000 servicemen are maintaining the operational readiness of the Russian Strategic Missile Forces.